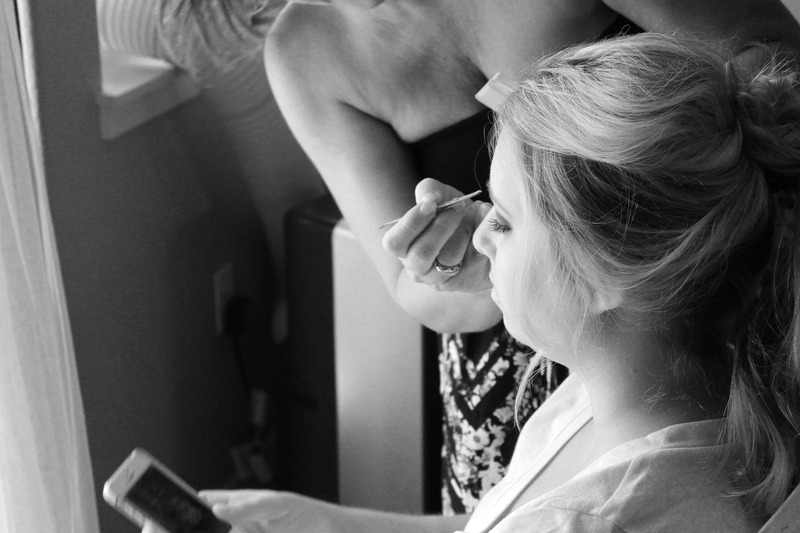 Getting your bridal hair and makeup right is key to looking flawless on your wedding day. Everyone wants to look their best for their wedding, and your hair and makeup is a key part of that. We’ve put together some hints and tips to help you to get your hair and makeup right, and look absolutely flawless on your big day. 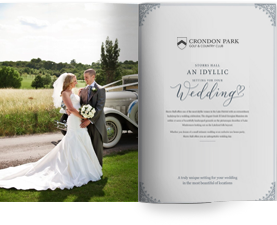 It can be difficult to decide on a look for your wedding, so it’s always a good idea to do some initial research and take inspiration from a range of different places. Bridal blogs and magazines are a great place to start; they can often be a really useful source of information on current bridal beauty trends, as well as offering tips on how to achieve a certain look. However, don’t be afraid to look beyond bridal. Take inspiration from your favourite celebrity style icons and think about how you can adapt their red carpet look to suit your nuptials. Making a scrapbook or Pinterest board is a great way of gathering all your ideas is one place and can be really useful for giving your hairdresser or makeup artists a sense of your personal style and the kind of look you are going for. While it’s helpful to take inspiration from elsewhere, it’s important to adapt these ideas so that they suit your own individual style and the style or theme of your wedding. For example, classic Hollywood-style hair and makeup with a bold lip, are a great choice for a big, glamorous event, whereas a smaller, more understated wedding may better suit a softer, romantic look. Your dress also plays a key role. For example, if your dress has a pretty neckline, detailed shoulders or dramatic open back, you may want to choose a chic updo to show off these features rather than tumbling flowing locks. The most important thing is to ensure that your overall look suits you and your personality. You want to look like the best possible version of ‘you’ on your wedding day, not somebody else, so now is not necessarily the time for trying out a completely new look. To really look your best on the big day, early preparation is key. In the months leading up to the wedding, adopt (and stick to!) a good skincare routine that includes cleansing, exfoliation and moisturising. And if you regularly go to bed with your makeup on, now is the time to stop! Following a healthy diet, getting plenty of rest and staying hydrated can also work wonders when it comes to the appearance of your skin. When it comes to your hair, make sure it is in tip top condition by treating yourself to hair masks or treatments and getting regular trims to remove split ends. If you’re having your hair coloured for the wedding, it’s a good idea to get it done a couple of weeks before so it can tone down and you have time to rectify any unforeseen colouring disasters! If your budget allows, it’s always a good idea to hire a professional to do your hair and makeup for your wedding. An experienced, qualified makeup artist will know how to make you look your best for your big day – both in the flesh and in the all-important photographs. They also usually have makeup kits stocked with good quality cosmetics that will last the day. Perhaps most importantly, hiring a professional takes the pressure off you. On the morning of the wedding you can sit back and relax while getting pampered instead of giving yourself yet one more thing to think about. To find a hair or makeup artist ask for recommendations from friends, and take a look through their portfolios to ensure their style fits with your vision. When it comes to your bridal hair and makeup, carrying out one or more trial runs in the lead up to the wedding is imperative. A trial will help you to figure out what works and what doesn’t, as well as giving you time to find solutions to any issues that arise, helping to avoid any major panics on the day itself. If you are using a professional hairdresser or makeup artist, they will usually include the price of a trial in their quote. If you are doing your own hair and makeup, it is definitely a good idea to have a few trial runs, and YouTube videos can be invaluable for helping you achieve your desired look. Following this advice will help you to look your best whatever your style of wedding – whether it’s a big elaborate bash, or a quieter affair in one of the many gorgeous small wedding venues in Essex. However, it may sound clichéd, but beauty really does come from the inside, especially on your wedding day. So, relax, smile and enjoy the day, and you’re certain to be a beautiful bride.